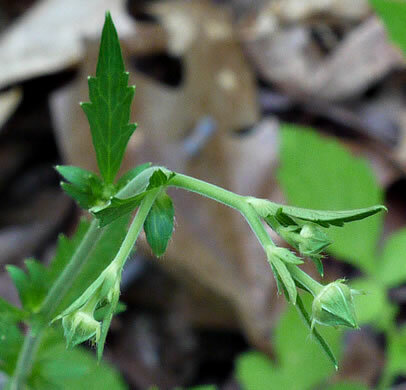 Sepals green, lanceolate, 4-7mm long, acute, spreading to reflexed, per Vascular Flora of the Carolinas. 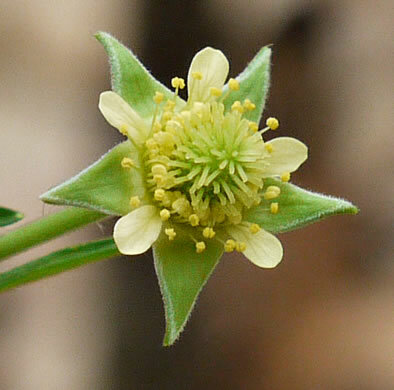 Densely soft-hairy, per Wildflowers of the Southern Mountains. 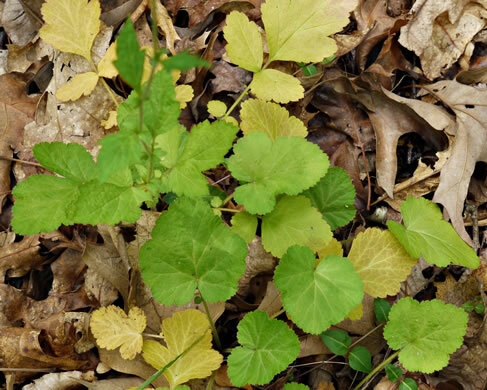 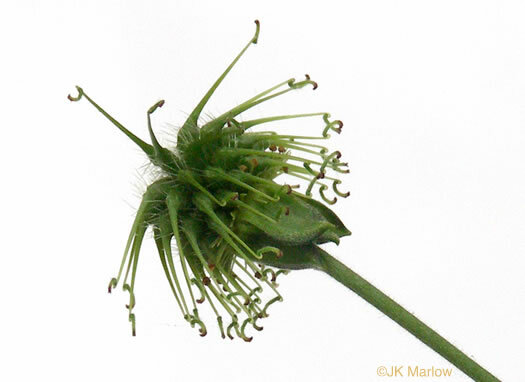 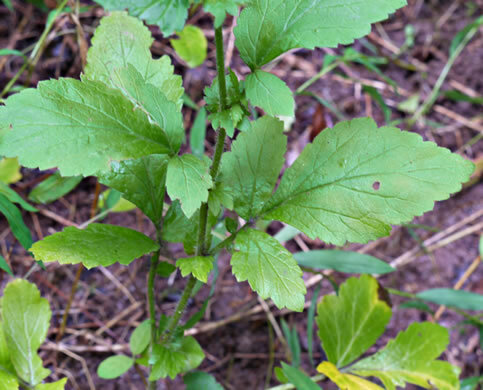 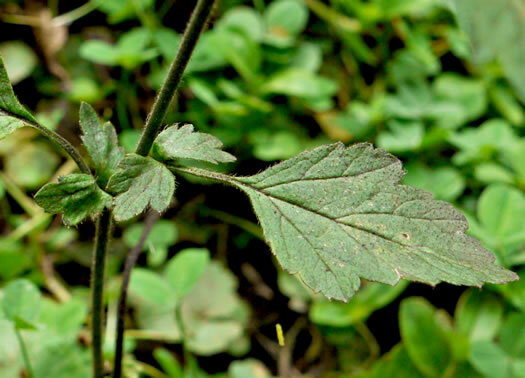 Principal leaves irregularly pinnate, w mostly ovate to lanceolate segments, per Wildflowers of the Southern Mountains. 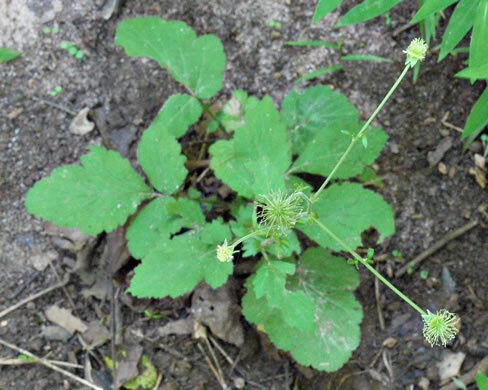 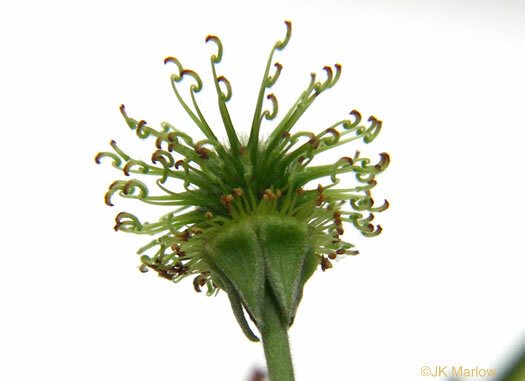 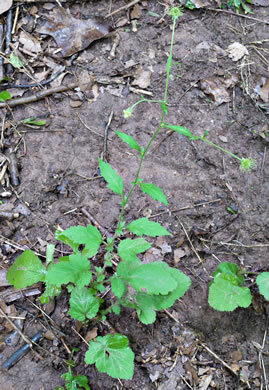 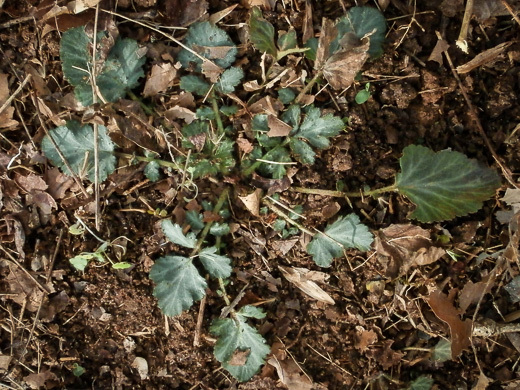 Stipules of Geum virginianum much larger than those of G. canadense. 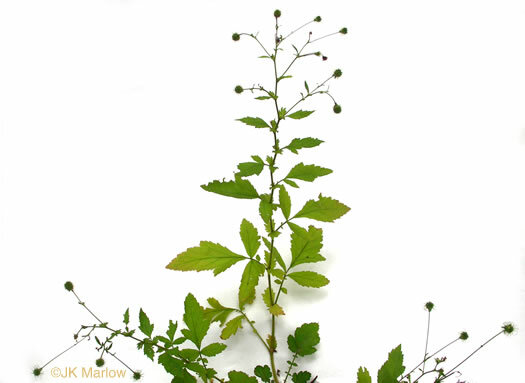 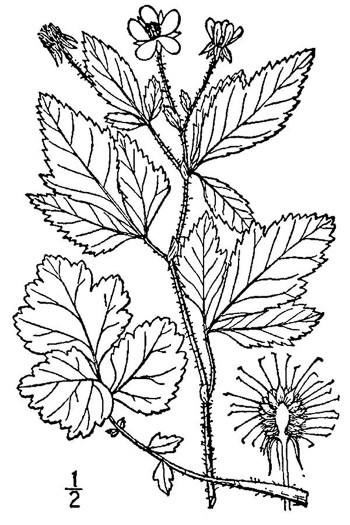 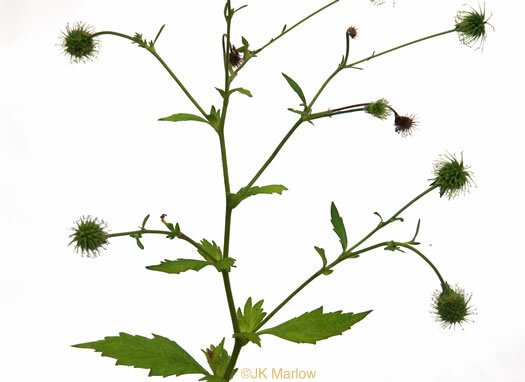 Larger stipules greater than 10mm wide, coarsely toothed or even lobed, per Weakley's Flora. 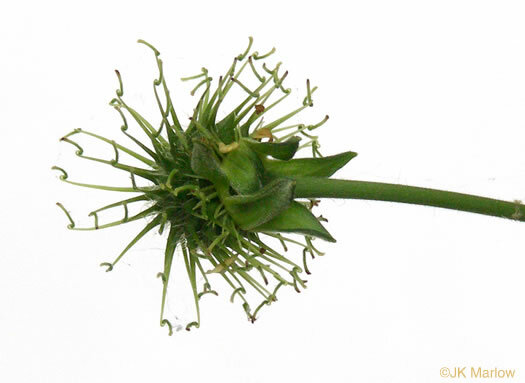 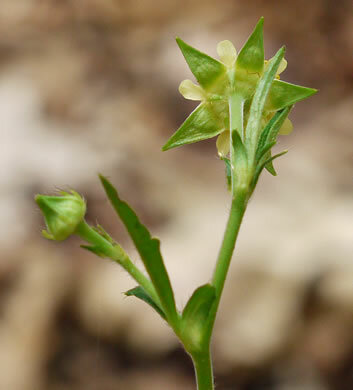 Calyx reflexed soon after anthesis, per Weakley's Flora.